This topic contains 13 replies, has 3 voices, and was last updated by Migatte No Titoi 1 month ago. I have decided to make a new topic for this, as the name of the last one was kind misleading and outdated. Also now I can just post the link one time and not in every single post, although I may still do so out of habit. YOU ARE FREE TO USE THE MODELS, BUT IF YOU USE ANY OF THE MODELS YOU MUST CREDIT ME. YOU MAY ONLY EDIT THE MODELS WITH MY PERMISSION AND YOU STILL NEED TO CREDIT ME. As the name implies, this topic will be about the DBC models I create for the mod and anyone else who wants to use my models. I will usually update this every week or so as long as I have ideas for models. 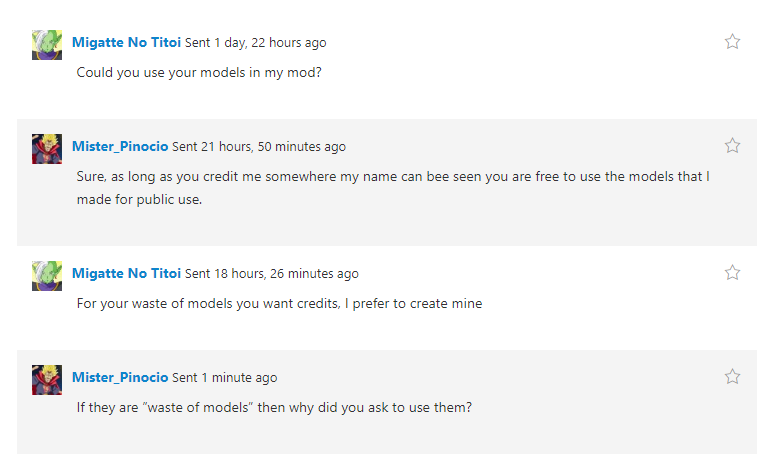 If you want to request a model, make sure I have not already made it and make a request on this topic. Making a request for a model does not guarantee I will make it, but I will consider all requests given they are not already in the mod or my models. By request of someone I have been making models for, I have removed the models I made specifically for them. These models include: All GT Models, SsjSuperTrunks, SsjFutureTrunks, and Whis. I apologize to anyone who had wanted to use these models, but the way I saw it, since the models were made for them and posting them was a side thing it was their choice to have them open to the public or not. 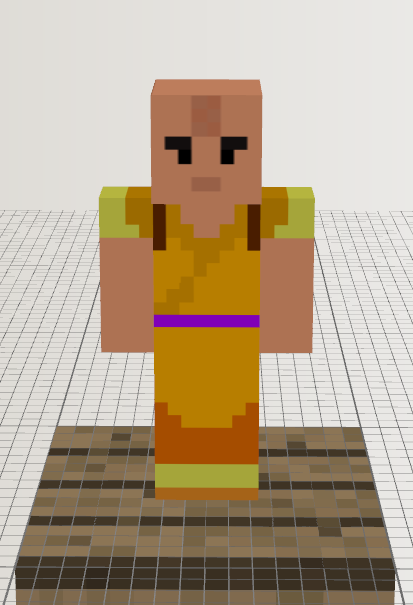 I will also not be releasing the champa and botamo models I am making for them. As for models I will be posting here, I have to finish a few more for this person then I will be back to making public use models, I apologize for the wait. I have been on an unannounced hiatus from my models due to the fact that I am nearing finals for my last class. I should be done with them at most next week, maybe this friday. As for models, I will make 2 more models for DBASkins before begining to make more public models, if you really want to use the models I have made for the DBASkins mod then message the creators because the models belong to them once I’m done making them. 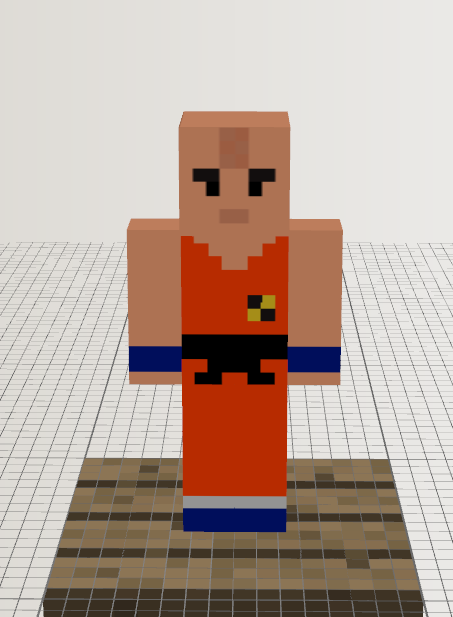 After those 2 I will be making models from the original Dragon Ball series! And after that I’m considering making some original characters people recomend, but I’m still undecided about that. I just want to say up front, until I learn how to make smaller models without reducing texture size I will stick with normal sized MC models, sometimes bigger. Anyways, that’s all I have for this little post here. I’ll see you guys this weekend (or next week), hopefully with some new models! How do I place these models in the game? You would have to make your own mod in order to place these in game, I’m not very good at modding yet so I would recommend you either look it up on youtube or ask one of the modders in this community. And if you want you can use the DBASkins mod as the creator has put some of my models in his mod and I have even made a handful of models for DBASkins only. I’m sorry I couldn’t give you a direct answer, but I hope you find what you’re looking for anyways. As a reminder, if you end up using my models in a mod or anything else you make please credit me somewhere. My final exam is on monday so after that I will be able to make more models for you guys again. 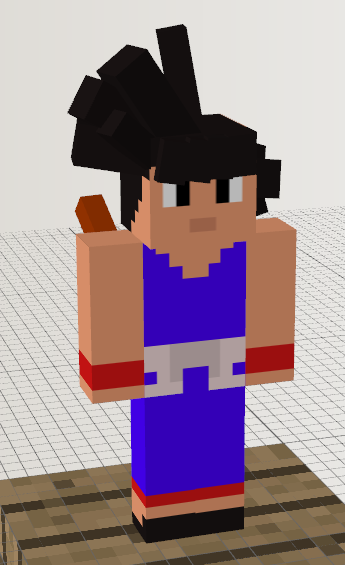 I will still be making Dragon Ball models but I have decided that I will occasionally throw in a model from DBZ or DBS, since I’ve only made the Saiyans and a select few others so far. As for the Original Characters I have decided that I will make models for people who request them, but I’ll only do ones that I think have a good design and aren’t just recolors or slight redesigns of existing characters. As for how I’ll be releasing the models, I will try to stick to a system where I release models in batches of 3, sometimes 4. I’m not known for my consistency so this isn’t a set in stone thing, it is a guideline I will try to follow s don’t be surprised if this doesn’t happen. Keep in mind this model isn’t 100% done yet, so expect a few changes. I’ve made 4, technically 2 I guess, new models for public release. These models are Kid Goku, Kid Goku w/ Roshi Gi, Kid Krillin, and Kid Krillin w/ Roshi Gi. 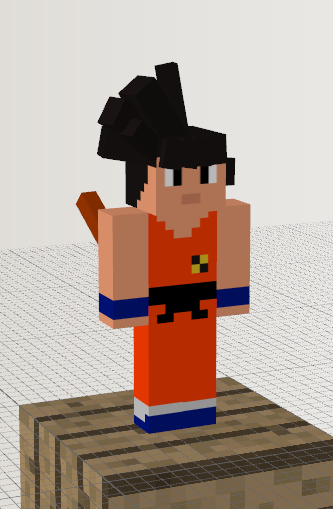 I decided to remake the goku hair for kid goku because the Dragon Ball style of his hair is different from his Dragon Ball Z style. As always, feel free to use the models as long as you credit me. Everything goes up, not what leaves me as a thief.